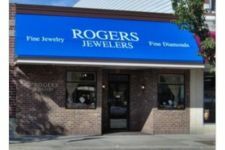 At Rogers Jewelers, we are proud to offer you high quality jewelry at competitive prices. We take great care while hand selecting every designer and every piece of jewelry in our store. We will stand behind every piece of jewelry that we offer to guarantee it against manufacture defects. We understand the emotion that goes into your jewelry purchases and we only sell products that you will enjoy for many years to come.